My daughter loves Daiso! She often drags me along to pick up some of her favorite arts and craft materials. I've been eyeing their beauty products for quite some time now and the mother in me loves buying super affordable products. 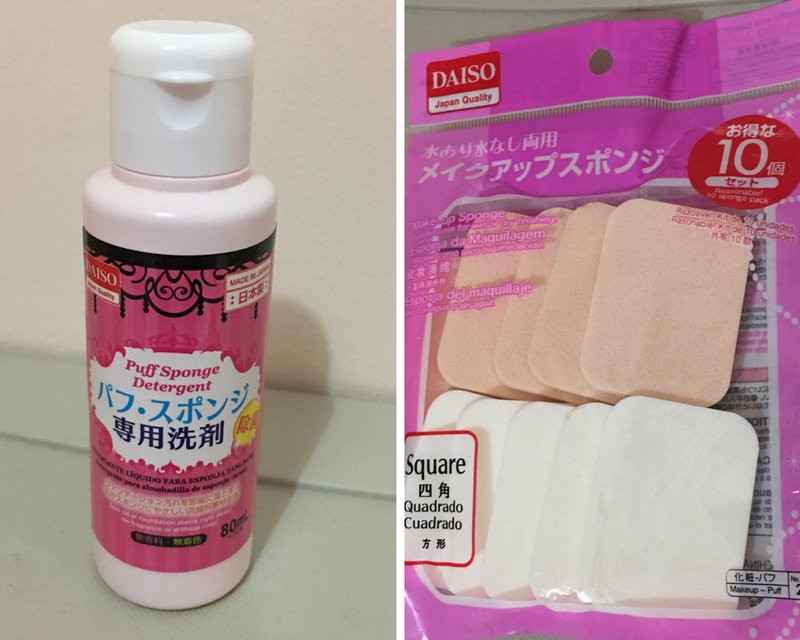 The first thing that pops into my mind - is it safe to use Daiso's makeup and other beauty products? I honestly don't know. I don't personally have sensitive skin so I don't usually develop a rash on most products. Also, I've done my research and so far, it seems like they're okay to use. I got two of their eyebrow gels in the shade of clear and brown. I'm not sure if they have black since I haven't seen any. 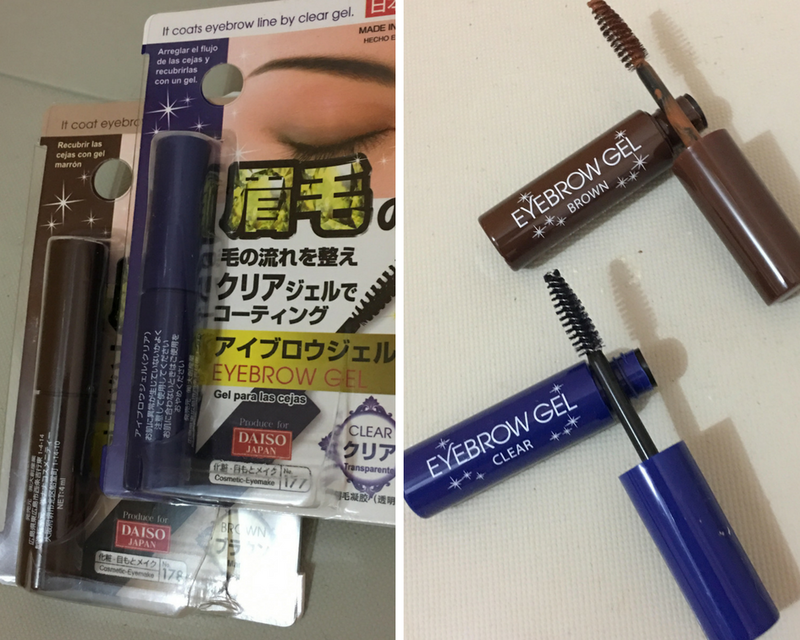 I've used clear eyebrow gel already and it's good. There's no chemical scent either. At first I thought this is a highlighter-contour duo. It's supposed to be a "Nose Shadow". 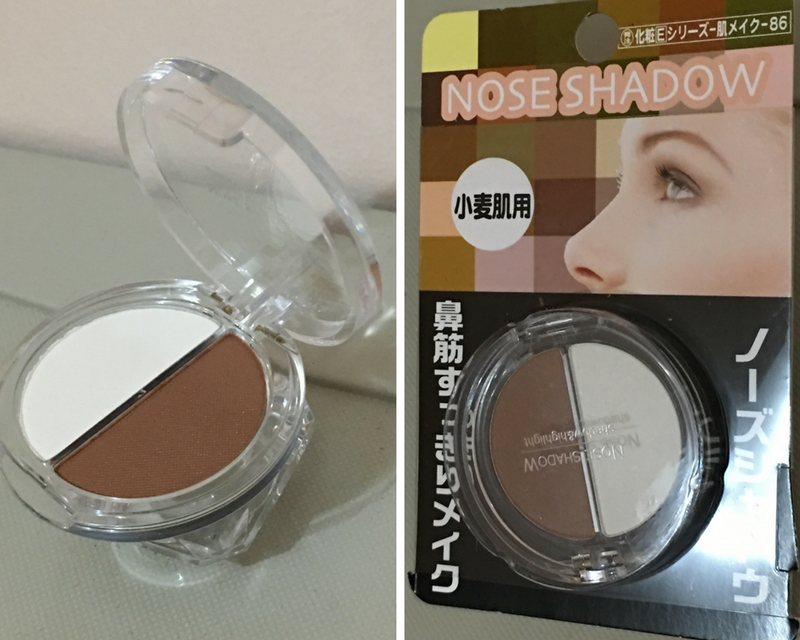 I use the brown shade to contour my nose as well as an eyeshadow. I use the white one to highlight my nose. I love the scent of this hand soap. It's my 3rd time to buy this one and has been my go-to hand soap. 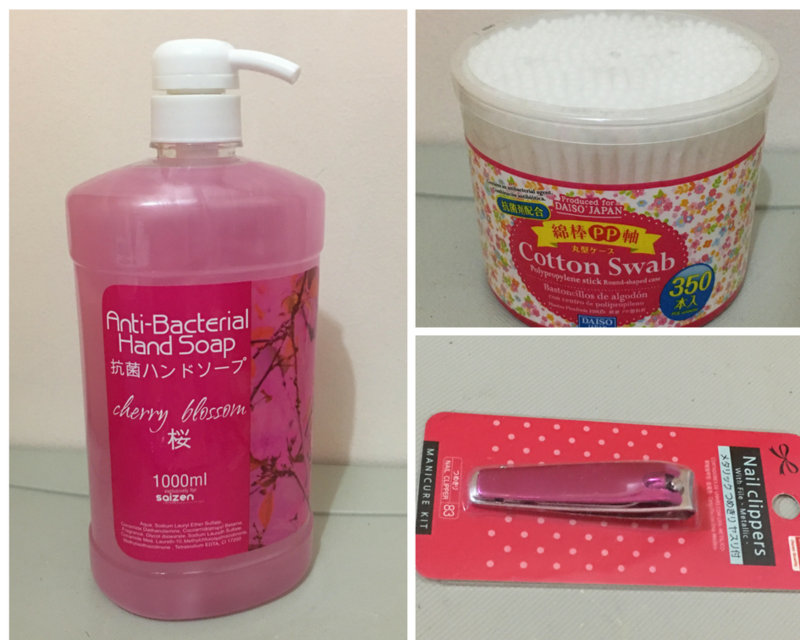 For 88 pesos, you get a 1000-ml hand soap. They have a lot of variants to choose from and so far, my favorite is Cherry Blossom. This is also the 2nd time I bought this pink nail clipper. I lost the one I previously bought so I had to buy a new one. The quality of their cotton swabs here is really good. For only 88 pesos, you get to have 350 pcs of cotton swabs. I also got their sponges. They offer a variety of shapes and sizes. I got the square ones. So far, it has served its purpose really well. I was thinking of buying some makeup up brush cleaner. I was really surprised to see that they have this here at Daiso. I haven't used this yet but if you're looking for bigger sizes, sorry folks they don't seem to have one. 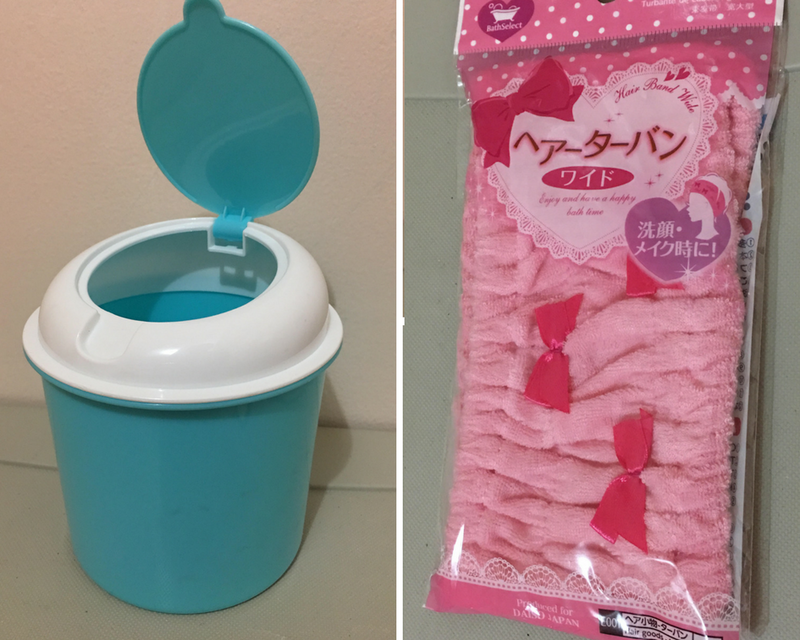 I use this cute plastic bin to store my cotton squares and just look at this pink elastic cotton headband! Isn't it cute? 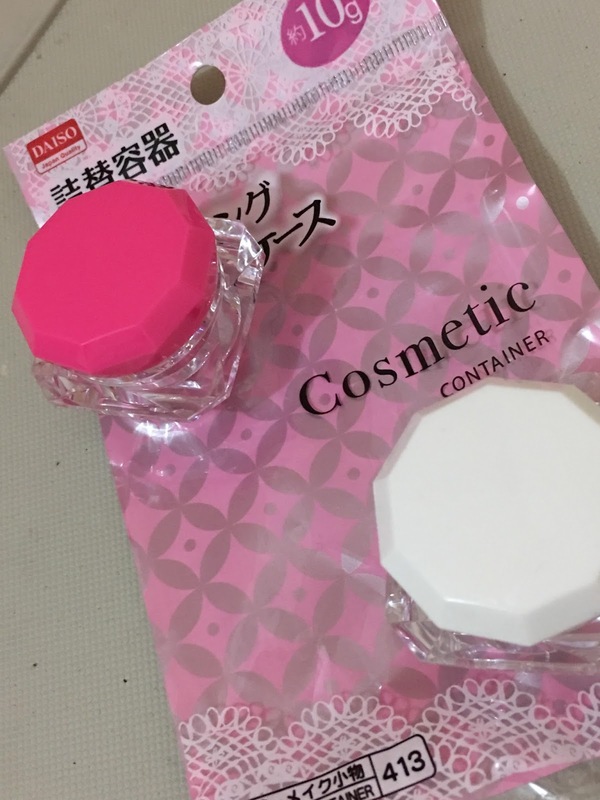 Last but definitely not the least, I got these cute containers. You'll get 2 for ₱88. I had a lot of fun browsing through their selection and for ₱88, how bad can it be? 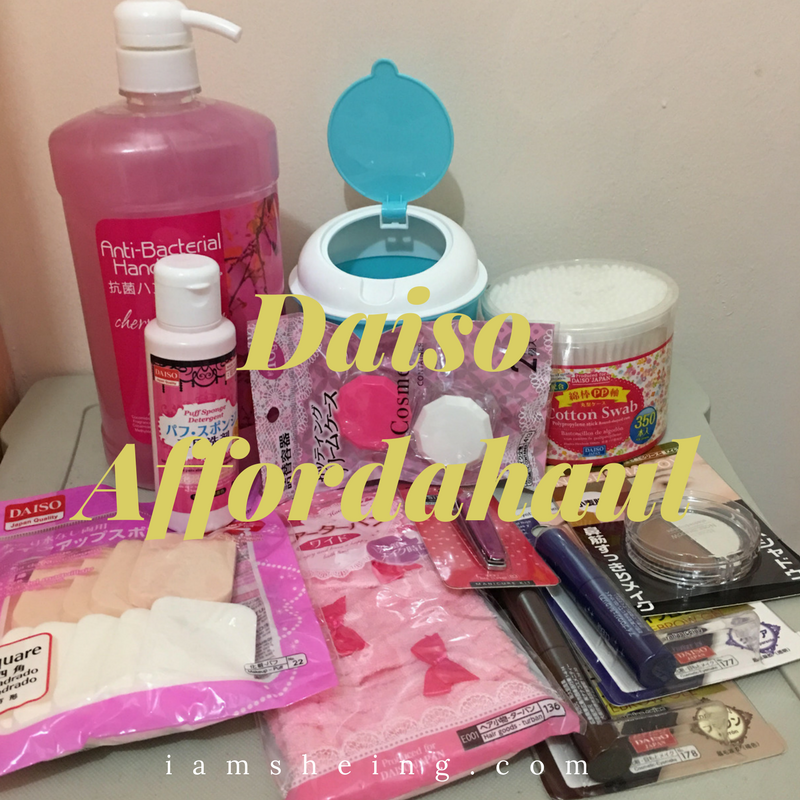 If you're from Cebu, you can find Daiso in Ayala and Robinson's Galleria. You can find just about everything from cosmetics, kitchen wares, schools supplies, and many more.